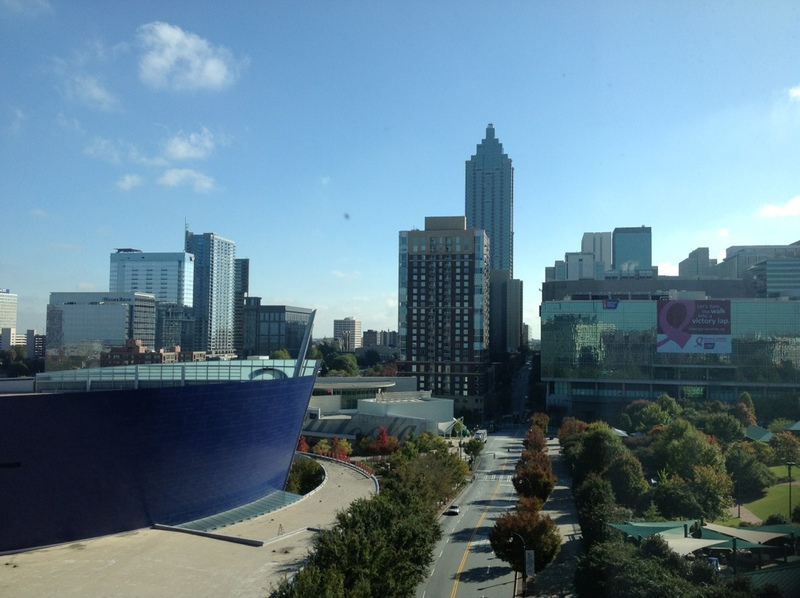 Looking out the window in my hotel room in Atlanta, I realized how big a world it is. How many opportunities are out there. Having spent the past few days at the 2012 Biomedical Engineering Society conference, I realized how much I don’t fit in. I have no clue about the research going on in my field, nor to I really care to find out. The Clemson MBAe program has forever changed me. I realize how much I love business and how happy I am that I am working to commercialize the shoulder brace. As hard of work as it is, I know it’s exactly what I should be doing with myself. This week at the conference has definitely confirmed that. I’m dong what I love and I love what I am doing. I feel lucky everyday I get to say that.